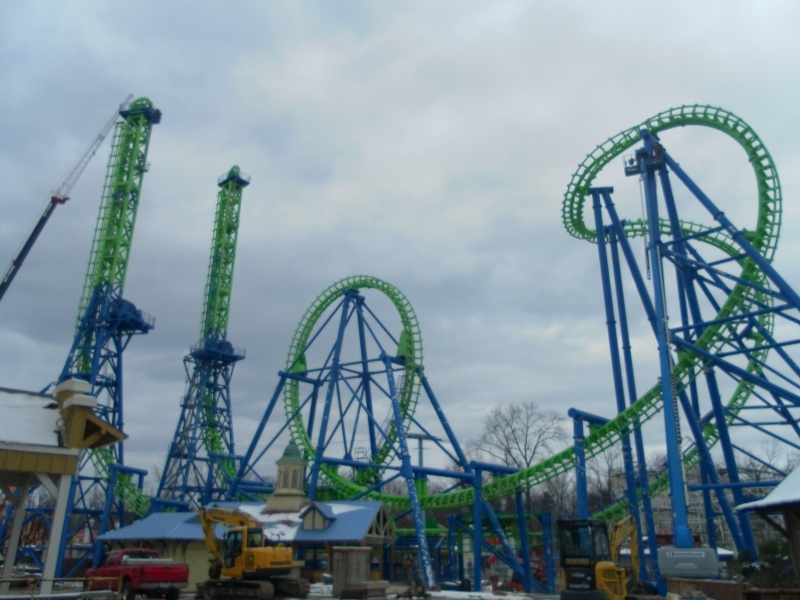 If you didn't know yes, Six Flags New England is getting Goliath - a Vekoma Giant Inverted Boomerang, relocated from Six Flags Magic Mountain. 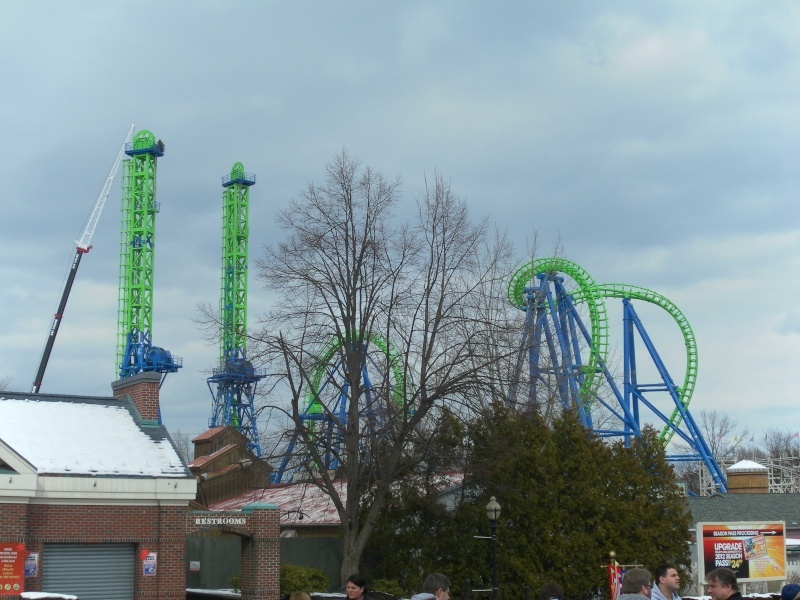 It is also their second Boomerang style Coaster and is even located right next to Flashback, their other Vekoma Boomerang Coaster. 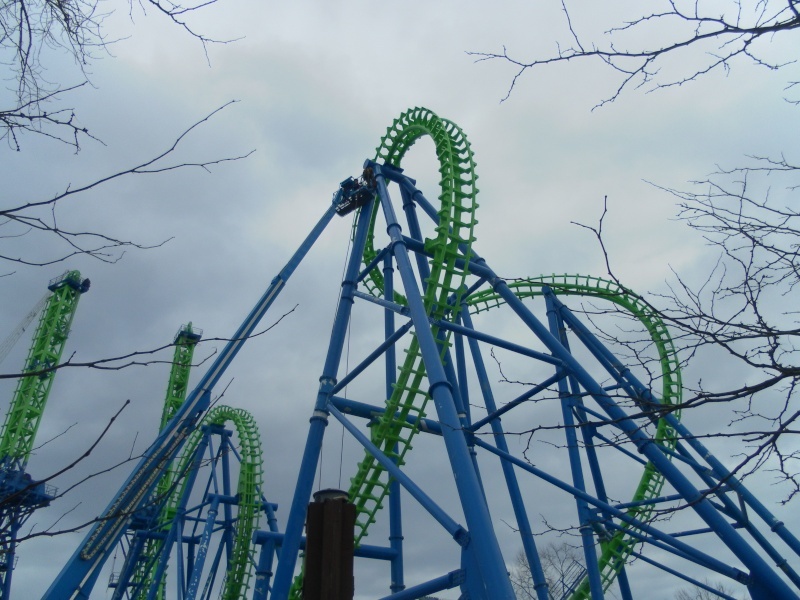 What are your thoughts on this Coaster heading to Six Flags New England? I wish it got a blue and orange paint scheme since it's going to be Goliath. I rode it as Deja Vu at SFMM. It was the only one of the three I got on. I was hanging on that restraint being pulled back to full vertical on the tower so the new train has to have OSTR. Your shoulders/chest need to rest on something. I never liked the cobra roll since it goes so high and doesn't seem to really dip in its cobra roll. It seems at most hanging just 60 degrees in the cobra roll-boomerang. I also rode it when it was Deja Vu at SFMM, but that was years ado and I forgot the ride experience. I also wish it would have got better theme. I was hoping for a nice Blue/Orange color and great western theme and name. Maybe it will be removed. It's basically bordering the hill going up to Cyclone. Flashback looks cozy there with the hot air balloons flat but I don't mind if they put another flat in its place since Goliath will be there. Hopefully no one gets goliath mixed up with then Big Hypercoaster Goliath. Yes. Six Flags could have picked another name that is better. There already 6 Goliath Coasters and it is such a generic Coaster name. You mean confuse it with La Ronde Goliath? That's the closest one. I hate the cables on Vekoma coasters. On Deja Vu when the lift engaged I'd see it whip. If they don't invert they're actually decent. Any word of construction progress of this "new' ride? I hear that the tower is rising, but not the inversions. And that was last week. Super Boomerang right next to a standard Boomerang! Thanks for the update! The New Park Map, Showing The New Bad Boy Himself! The New SFNE park map has been updated, showing Goliath! Awesome! Thanks for sharing. I can now picture where the ride is in the park a little better. Good news, Ill be by SFNE tomorrow (sunday) and ill grab some pics of the latest construction for Goliath, and ill post some of the pictures on the site!!! The Skyline at SFNE has truly changed! Enjoy the photos! WOW - Thank you for posting the SFNE pictures - the ride really dominates the park and looks GREAT ! Same here - Hate it as much as I hate the park itself - and it's my home park. The ONLY saving grace of the park is Bizarro/RoS. Thanks for the pic though. ^Bizarro is the only thing in that park that's NOT some sort of eyesore. And one of the best - if not THE best - coaster on the planet. It is the only reason I go to the park, cause everything else about SFNE stinks. 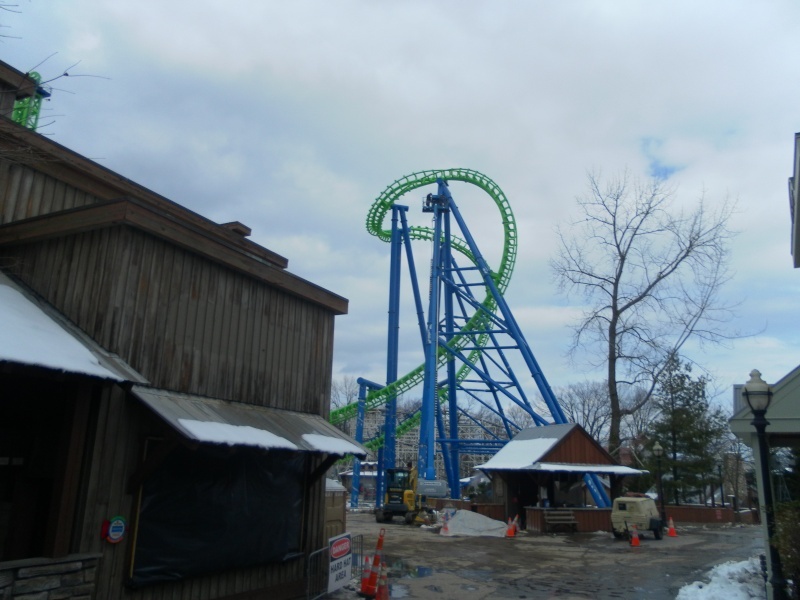 I mean come on - SFNE is probably the only park in the world with TWO (2) inverted boomerang coasters - really?? Two?? Why? Too much green... In my opinion. The park is one of the worse in the chain, and I agree Brandon, WAY too much green. It's because we have natural taste and style billybob, unlike SF.